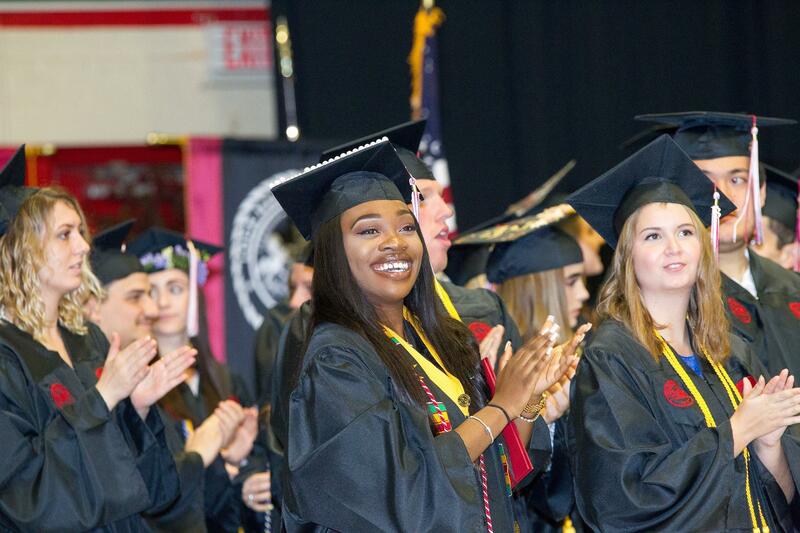 Lock Haven University recently celebrated the achievements of approximately 620 graduates during the 141st spring commencement ceremonies. At 7 p.m. on Friday, May 11, 110 graduate students received their degrees in Price Performance Center. 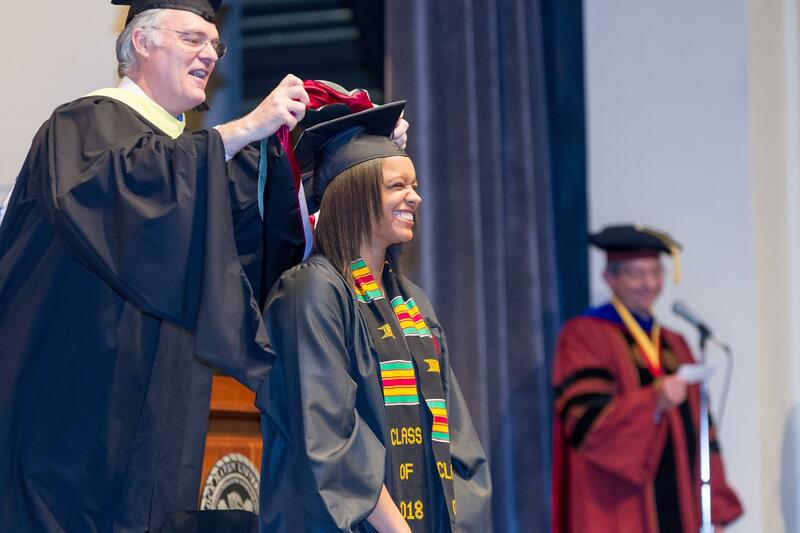 At 10 a.m. and 1 p.m. on Saturday, May 12, a total of 510 undergraduate students received degrees in two separate ceremonies, both held in Thomas Field House. The ceremony originally planned for 10 a.m. at Hubert Jack Stadium was moved indoors due to the weather. 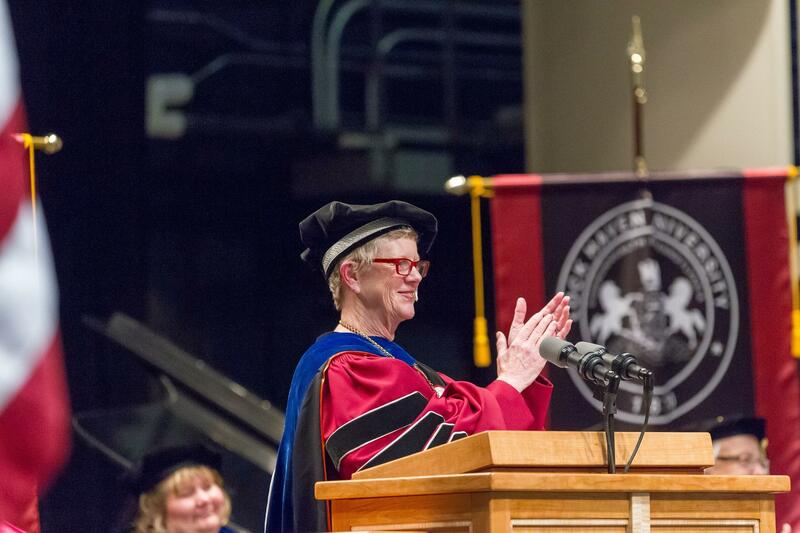 At all three ceremonies, Dr. Stephen Neun, LHU acting provost, welcomed the guests and a greeting from the faculty was given by Dr. Matthew Girton, president of LHU APSCUF and professor of communication. The student speaker for the Friday night graduate ceremony was graduating senior, Jordan L. Ball. She spoke to her classmates about the hard work they had gone through to get to where they are today, saying it is a reflection of their dedication and character. “As you move onto the next chapter in your life, continue to set the bar high for yourself,” she added. The student speaker for both undergraduate ceremonies was graduating senior, Thomas W. Bates, who touched on the fact that the world today is very different from the one he and his classmates were born into. “We have never in our lives had a better opportunity to impact the world, than right now,” he said. Following the undergraduate ceremonies, all graduates and their families were invited to a reception in the Durrwachter Alumni Conference Center.